Seeing a police car pull up behind you can be a life-altering event. The moment an officer approaches your vehicle, he or she is looking for signs of intoxication. If any such sign is detected, you may be asked to submit to a chemical test for DUI. What exactly are those signs? The Smell of Alcohol: The officer will try to get you talking to determine if the scent of alcohol is on your breath, and try to detect the presence of alcohol in your car. Speech Issues: From slurred speech to incoherence and slow verbal responses, people’s speech patterns sometimes change after they’ve been drinking, and officers are very aware of those changes. Those who are intoxicated are also more likely to speak too loudly. Disorientation: This takes many forms, but it includes not being sure of where you are, what time it is, or being unable to answer an officer’s questions. Motor Skills Problems: Maybe you fumble with your license as you pull it out of your wallet. Perhaps you stumble when you get out of the car or fall over while you’re standing there. All of these may point to an individual who has been drinking. Messy Appearance: Rumpled clothing and messy hair can also point to intoxication, as can poorly applied makeup on women. Awkward Emotional Responses: From cursing and shouting at people to being overly friendly, officers watch the way you respond to the situation to measure your level of intoxication. Officers certainly don’t just look at behavioral symptoms when they consider DUI. They also look at how you were driving to determine whether you may be intoxicated. A number of driving behaviors may indicate the presence of intoxication; these can include wide-radius turns, nearly striking an object or another car, weaving in and out of lanes, slow driving (anything less than 10 MPH under the speed limit), stopping without cause, erratic breaking, inconsistent signaling, slow responses to traffic signals, having your headlights off, and turning illegally. 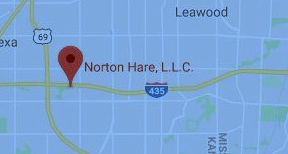 If you’ve been arrested for DUI in Kansas or DWI in Missouri, the best thing you can do right now is contact Norton Hare. Officers will testify as to the symptoms of intoxication you displayed during your arrest, and you need a solid way to combat that testimony. It starts with the right firm. Contact us today for a free, no-obligation consultation.